On Friday, I was interviewed about my life as a teacher / mom for a “bonus episode” on Working Motherhood on one of my very favorite podcasts – The Mom Hour. (Y’all, I seriously am giddy with excitement about it. SO fun. I think it’s going to go live this Friday, but I’ll keep you updated.) Anyway, spoiler alert, one of the things we talked about was how I feel like being a mom has actually made me a better teacher and vice versa. Today, as my school year is (finally) wrapping up, I thought I’d share some of my thoughts on that and go into a little more detail than what you’ll get in the show. Before kids, I often stayed late at school working, grading, organizing, planning, etc. Now, I have a babysitter to meet, and, frankly, I just want to get home when the final bell rings. Before kids, I typically worked at least an hour or so from home every night and usually a couple of hours on the weekend. Now, I only work from home if I absolutely have to. Before kids, I was pretty good about grading and returning papers in a timely manner. Now, mainly as a result of the above two points, I am much slower. Like, MUCH MUCH slower. Before kids, I was the sponsor for a number of school clubs and organizations and attended lots of out-of-school sporting events, performances, dances, etc. Now, I only do two or three of these things A YEAR and almost always ones I can do WITH my kids. Before kids, I rarely missed school, and any absences were usually well planned in advance. Now, I’m out sick a lot and often scrambling to make do for a sub. Bottom line: Before kids, my job was kind-of my baby. It came first in my life a lot of the time. Now, it just doesn’t. It can’t. I am more compassionate. Even on their ugliest days, I remember that my students were once someone’s babies. I often find myself looking at them and wondering which one Sam and Nora will grow up to be like. I can’t help but see my own kids in them. I love them in a different way than I did before becoming a mom. I am more flexible and forgiving. If I don’t put my job first all the time, I have to recognize that I can’t expect my students to always put school first. I realize that they are real people, and things come up. Life is hard. There are more important things than my assignments. I’m MUCH more likely to show grace when it comes to due dates, etc. (within reason, of course). I am more focused on LIFE SKILLS and less focused on test scores. I want my students (and my kids) to LOVE reading and writing. I want to give them a voice and teach them to effectively communicate their message to any audience so they are heard. I want them to find books they enjoy and read for pleasure. For me, most of the time, the test scores come pretty naturally as a result of that focus; but, I really don’t worry about them like I used to. I know now that there are more important things in life. I am more relatable (and more fun). Now, when my students talk about being up all night doing homework, I can relate (only I was up with a screaming baby #muchworse). I talk about my kids, and my students know that I have a real life outside of school. I tell funny stories, I show them pictures, we laugh… And then we work. I am more confident. Being a mom has brought out every insecurity I’ve ever had, for sure, but the end result has actually been more confidence in every area of my life, including the classroom. If I can raise human beings, I can teach Shakespeare. Period. When I was a new teacher, I worried so much about appearing knowledgeable, being respected, not being treated as a peer… Now, I (mostly) feel like an adult. I don’t need to prove that to anyone. Bottom Line: I try to be the teacher I hope my own kids will have one day, and that has changed everything. I am kinder, more patient, more balanced, more efficient, and happier. Of course, the reverse of this is true too. I really do believe that being a teacher gives me an advantage in raising my own kids as well. I wrote a whole post about the pros and cons of teaching for moms and touch on a lot of this there, but I love that teaching high school gives me insight into the lives of young people today, keeps me young and engaged, and gives me a first-hand look at our education system and the way children learn. I also love that working, in general, forces me to rely on a village and gives my kids confidence and security even when they are away from me, lets even more people love on my babies, and helps me to manage my time and make the most of what I have with them. As I’ve said many times, it isn’t for everyone, but this life is a good one for me. 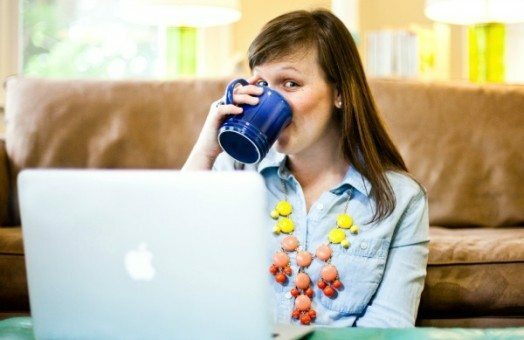 Fellow teacher-moms, what do you think about this topic? How has motherhood made you a better teacher and vice versa?!?! Great post! Would love to hear more about how you work hard in class and give less out of class work. I am trying to find a balance with that, but the general expectation in an honors class at my school is that reading should be done at home and we should be working with the texts during class time. Loved this! Yes and yes to it all! Thank you so much for this! I’m a 3rd year high school teacher and soon-to-be mother. I’m already feeling the pressure to be AMAZING at both of these things – it’s a bit daunting! I love your take on the working mom world. Being a teacher is hard, being a mom is hard, but we CAN do both and we CAN be good at it! Thanks for the pick-me-ip!